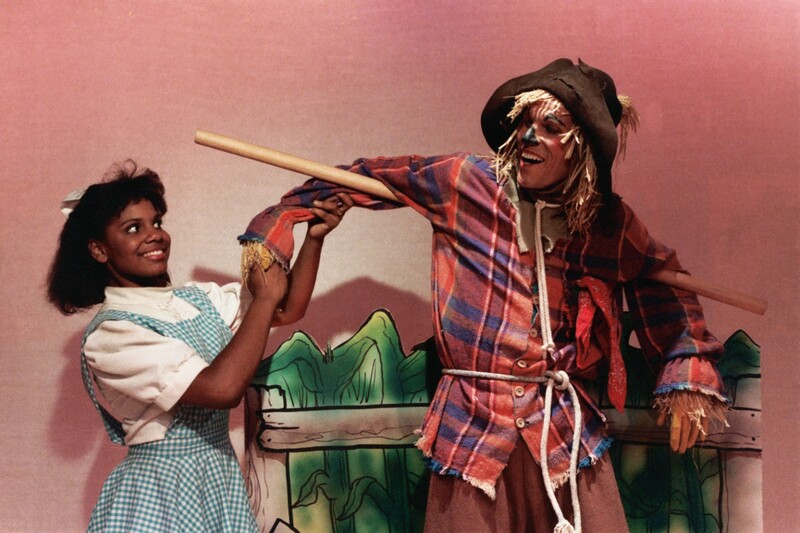 Audra McDonald & Steve Pepper: The Wiz, 1987. Audra McDonald joined the Junior Company at age 9 in 1980. She began as an alternate (were we stupid, or what?) but continued as a regular Junior Company member until 1983. She also made impressive mainstage appearances in The King And I, Gypsy,Hello! Dolly!, Good News, Grease, A Chorus Line, Lorelei (yeah, we did that show), Kismet, The Wiz, and Evita. Upon graduating from Roosevelt School of the Arts in Fresno, Audra left to study classical voice at The Juilliard School. She was quickly cast in the National Tour of The Secret Garden and soon after appeared on Broadway in Carousel, Master Class, andRagtime, winning Tony’s for all three and a fourth in 2004 for A Raisin in the Sun. In 2012, Audra won her 5th Tony Award for Best Leading Actress in Porgy and Bess tying the record held by Julie Harris and Angela Lansbury. In 2014, Audra became the most decorated actress in Tony Award history, winning an unprecedented 6th Tony Award for her stunning performance as Billie Holiday in Lady Day at Emerson’s Bar & Grill. Audra McDonald and Norm Lewis in “Porgy and Bess” for which she won her 5th Tony. appearances, releasing new CD’s regularly, the most recent of these including “Go Back Home” and “Lady Day at Emerson’s Bar & Grill (Original Broadway Cast Recording)”. Numbered among her television credits are: “Having Our Say: The Delaney Sisters’ First 100 Years,” “Annie,” “Mister Sterling,” “Kidnapped” and “Private Practice.” She was nominated for an Emmy for her performance in “Wit,” the HBO film of the Pulitzer Prize-winning play, directed by Mike Nichols and starring Emma Thompson. In December, 2014, Audra begins a 32-city concert tour beginning December 2nd at The Walt Disney Concert Hall in LA. For details go to http://audramcdonald.net/.